ABOUT Microbiology AND ITS job opportunities in Nigeria? Microbiology is another hot discipline which has so many job opportunities in Nigeria. There are so many industries or companies in search of degrees holders in the field of microbiology. Before I provide you with the many opportunities of a microbiologist in Nigeria, I want you to get something straight. You need to know what microbiology is before searching for the job opportunities it renders. What is microbiology: Without wasting much of your time, microbiology is the study of micro organisms. Micro organisms are simply those living organism that are too small to be seen by the naked eye. I am vex when some people deride or look down at the discipline “microbiology” all because they feel it offers very little job opportunity. 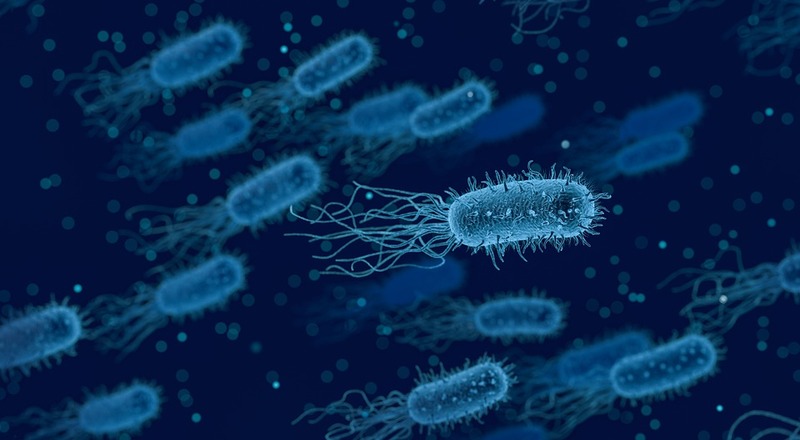 Micro biology may simply entail the study of micro organism but the knowledge of micro organism has been very crucial in the success of many industries in Nigeria. Medicine: Medicine is the study of the human life; to safe and protect it from sickness, disease, deficiencies and so on. As little as those micro organisms may be, they still poses a serious threat to mankind. Sickness like malaria, typhoid, and at the advanced level sickness like HIV, AIDS, Ebola are all caused by these microorganisms. When a microbiologist sits down, pick up his microscope and view this micro organism. A lot of things come into his thoughts. Among his/her thoughts are the ways to destroy the micro organism that are harmful to human health. If these micro organisms cannot be destroyed, the micro biologist thinks of the ways to extenuate or control its actions on humans. Nutrition: Nutritionist cannot do without the micro biologist. In fact, microbiologist is an indispensable asset in the world of nutrition. Processed foods are highly susceptible to damage by micro organisms. Micro biologists make research to develop new ways to fight against this micro organism and preserve foods. Agriculture: Agriculture entails the planting of crops and rearing of farm animals. Micro organisms also seek to harm both plants and animals. As a plant grows, there are several micro organisms which act as an impediment to its survival. This is also the same when it comes to the survivals of the animals. The micro biologist sought out ways through the power of research and not mere reasoning to destroy if not completely destroy, to extenuate the proliferating of the harmful micro organism. With these three vital primary areas that a micro biologist is needed, you can easily decipher the job opportunities in Nigeria and the world as a whole. But I will state these job opportunities clearly to you. FOOD PROCESSING FIRMS: There is no food processing industry without a microbiologist. Do not quote me wrong though, micro biologist does not process foods. A food processing industry may choose to produce and sell processed foods like biscuit, noodles and so on, but without a micro biologist, authorized regulatory bodies like NAFDAC would forbid it operation. Since the food which is been produced or processed lack proper preservative method. Without micro biologists, processed food would be more or less a poison to humans. Micro biologists make researches to produce preservatives for food processing industries. In the industry, micro biologist knows the right amount of preservative to be applied to preserve the processed food. INSECTIDES PRODUCTION: Micro-biologists are producers of insecticides. They do not only study micro organism which includes bacteria, viruses and so on, but also studies vector or carriers of those micro organisms. Micro biologist develops new ways to impede these vectors actions. One of the ways is usually the production of insectides or chemicals that are detrimental to the lives of these micro organisms. PRODUCTION OF WATER GUARD: Typhoid is a serious disease in Nigeria which has led to the death of so many people. It is caused by the intake of dirty water or water that has been contaminated by germs and micro organism. In response to this serious life threatening disease, micro biologist has proffered ways to exterminate these micro organisms, therefore treating the water. Among these ways provided by a micro biologist is the production of water guards for water treatment. SOAP PRODUCTION: If micro organisms were not real, they wouldn’t be any need for you to bath twice a day. Germs on the body encourage micro organisms. It is the micro organism that hurts and results to illness and not even the germs. Soap producing factories especially those factories which produce bathing soaps employ micro biologist to discover new ways to fight against these micro organisms that are harmful. Luckily, there are so many soap producing industries in Nigeria. They include Detol, Eva etc. Mouth wash production: The production of mouthy wash and tooth paste is the primary duty of a dentist. But you should be aware that every industry employs graduates of different disciplines that are needed for the production of whatsoever product that industry is dealing with; a typical example is the oil company which does not employ graduates only from oil related fields like oil and gas engineering, petroleum engineering etc. but also seeks graduates from other disciplines like mechanical engineering, industrial chemistry and so on. There are several other job opportunities that a degree in micro biology can offer apart from the ones stated out in this post. But it is important that you do not restrict yourself to the job opportunities associated with your degree in Nigeria and other countries because jobs would be likely offered to you base on what you can offer rather than the degree you possess. No Response yet for "About Microbiology and Its job opportunities in Nigeria"